Can Organic No Till Work in the Field? Hairy vetch may be the key to reducing tillage in organic farming, at least in the short term. Martin Entz, a professor and agriculture systems expert from the University of Manitoba has been looking at mulches for organic weed suppression, rather than the tillage typically used. “We found that when we used the right mulch, or the right mulch combination, that the organic no-till system performed very well,” he said. Entz combined hairy vetch with barley as a green manure mix in a six-year rotation, starting with pea-oat green manure, followed by spring wheat, soybeans, the barley-vetch mix, flax and ending with oats. Adapting methods from Brazil, Entz blade rolled the barley-vetch mix once the barley flowered, crimping the cereal and creating a mat through which vetch continued to grow until freezing. The viny legume has proven to be the most effective element in Entz’s green manure mulches when applied at a high seeding rate. Field experiments from 2010-12 found wheat yields in organic no till were comparable to regional averages for between 1-1/2 to two years following a vetch or vetch-mix mulch. The research compared 10 cover crop combinations, including barley, pea, vetch, radish and sunflower. Results showed only pure vetch and the barley-vetch mix produced less than one tonne per hectare of weed biomass. Wheat seeded into vetch mulches also yielded the highest out of the no-till plots and, along with pure pea mulches, had the highest uptake of nitrogen, ranging from 95 to 100 kilograms per hectare. The study noted however, that pure vetch was slower to emerge and was less competitive with weeds during the green manure year. Likewise, Entz added, mulches have not proven effective against wild oats and are best used against broadleaf weeds. The barley-vetch combination has since been integrated in long-term organic plots at the Bruce D. Campbell Farm and Food Discovery Centre in Glenlea. Entz also warned that any farm, whether organic or conventional, will face a learning curve to adapt mulching to their specific operation. Are farmers picking up on it? Some, but most organic producers still view tillage as their key to weed control. An organic farm will often make several tillage passes prior to seeding, as well as in-crop cultivation and post-harvest field work. Laura Telford, organic specialist with Manitoba Agriculture, says she knows of at least one organic producer who has invested in reduced-tillage equipment, but the practice is not common. The equipment market may indicate farmers are, in fact, going the other direction, she added, noting the influx of and increased interest in large-scale tillage equipment from Manitoba’s organic farmers. The answer, she suggested, might lie in integrating more perennials, both for weed management and to bolster soil health. Forage experts and conservation advocates have typically pointed to deeper root systems and nitrogen-fixing aspects of perennial forages like alfalfa and have drawn links to better soil infiltration, increased carbon matter and decreased erosion risk. Telford suggested that producers might produce alfalfa seed or integrate livestock during alfalfa years to maximize return. More perennials may not mean higher yields, according to data out of Agriculture and Agri-Food Canada’s Brandon research station. In an 18-year study, which measured the impact of inputs, crop diversity, environment and terrain on yield at Scott, Sask., a six-year mixed annual grain and perennial rotation (canola, wheat and barley followed by three years of alfalfa) fell behind diverse annual grains (canola, fall rye, peas, barley, flax and wheat) in yield. The study compared organic, reduced-input and conventionally managed plots, cross-sectioned with low-diversity, diverse annual grain and mixed annual-perennial rotations. While organic yields consistently fell short of reduced-input and conventionally managed plots, organic wheat in the annual grain rotation yielded 86 per cent of reduced- and high-input plots using the same rotation. Organic wheat in the annual-perennial mix yielded 81 per cent of the higher-input systems. The pattern was repeated in barley. 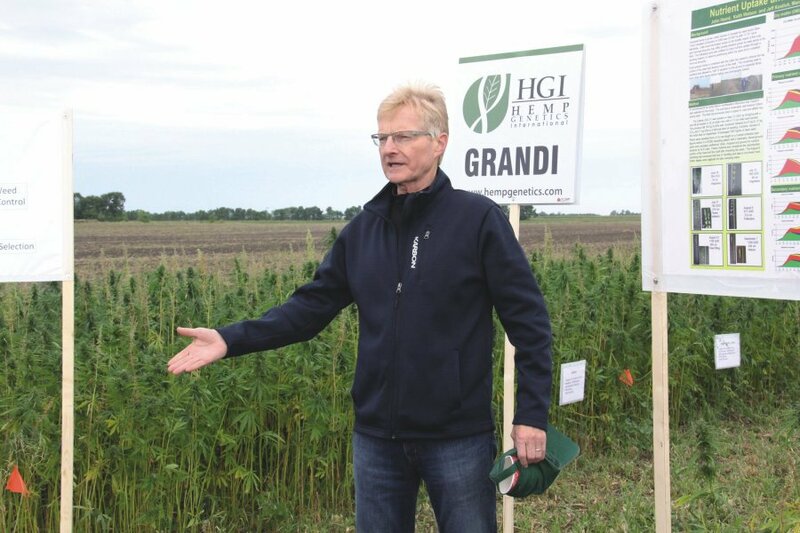 Organic plots in the annual grain rotation averaged 64 per cent of high-input yields and 70 per cent of reduced-input plots, compared to 63 per cent of high-input and 65 per cent of reduced-input yields in annual-perennial rotations. Tillage also played into the results. Reduced-input plots were largely no till, and tillage was only used to terminate alfalfa in the annual-perennial system. High-input plots were conventionally tilled and tillage was the primary weed management in organic plots. “To a certain extent, in the organic system there was more tillage than in high (input),” Taras Lychuk, one of the researchers on the project, said. “It makes this trade-off, like you’re getting this cleaner yield — they’re presumably free from pesticides and herbicides and herbicide traces in your crop yields — but you’re looking at the greater impact to the environment based on nitrogen and phosphorus and you’re pretty much depleting your soil organic carbon in the long run. It’s always a trade-off,” he added. Perennials in reduced-input and organic systems got an extra treatment of compost after each six-year cycle to make up for nutrient removal and mimic livestock. Despite that, researchers noted that organic plots tended to be deficient in both nitrogen and phosphorus.